There's no word on if any stores will have display units, but at the very least, you'll have another option for purchasing the phone. Best Buy is also running the same $100-off promotion that other retailers are, bringing the Razer Phone's price down to $599. I'm not sure I'd pay that much for a 2017 flagship with no waterproofing or headphone jack, but that 120hz screen is still a unique selling point. You can get the phone from Best Buy here. 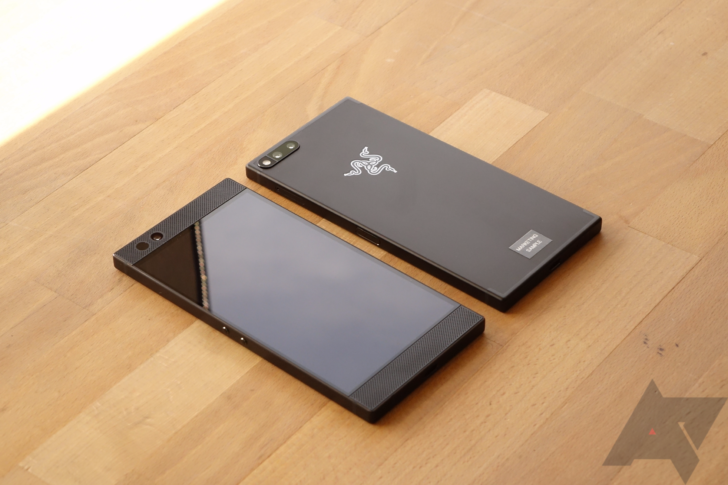 IRVINE, Calif., May 4, 2018 /PRNewswire/ -- RazerTM, the leading global lifestyle brand for gamers, today announced the availability of the Razer Phone in-stores at major retail partner Best Buy. Availability will roll out over the next few days in select stores. The Razer Phone is the ultimate in mobile gaming with a phenomenal display, cinematic audio and enough power to last all day. Boasting the world's first 120 Hz UltraMotionTM display, the Razer Phone delivers the fastest refresh rates and smoothest graphics among smartphones today.